A Marine Corps helicopter door gunner in Vietnam, Maurice Buff, said the Veterans Treatment Court judge at the Stand Down was very fair dealing with his court costs and fines. There’s a military tradition called a “Stand Down.” It’s when soldiers get a temporary break from combat for a shower, hot meal and peaceful night’s sleep. 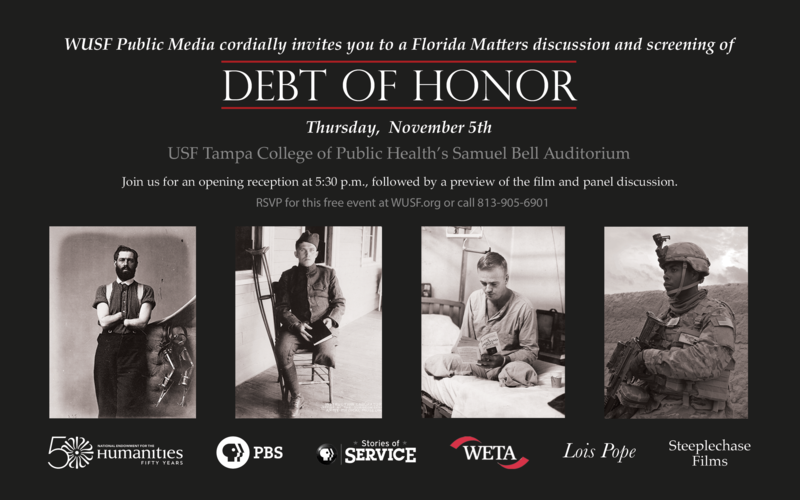 Recently, Pasco County held a Stand Down for veterans in our community who are fighting a different kind of battle with homelessness, substance abuse or mental health issues. This is the fourth year One Community Now (OCN), a group of local churches, sponsored the event according to Mary Miller, a member of the OCN Stand Down Core Team and St. Thomas Aquinas Catholic Church in Pasco County. 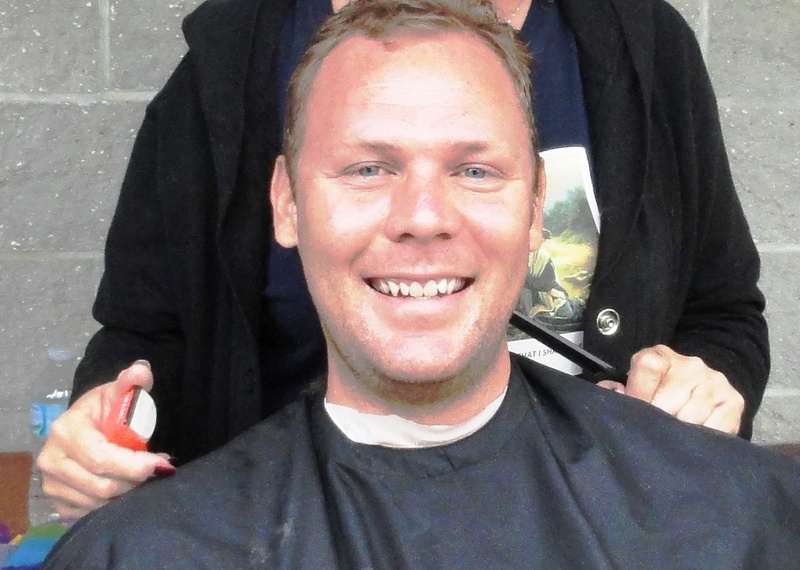 Army veteran Ira James Holt, who served in Operation Iraqi Freedom, gets a free haircut from a Great Clips volunteer. What started as a one-day event to connect homeless veterans has grown into three days with 500 volunteers from the community at Veterans Memorial Park in Hudson. “This is the first year we have two dental buses,” Miller said, adding that the dentists and dental hygienists were kept busy with extractions and teeth cleaning. Portable hot showers were set up next to the concession stand where veterans could get a free haircut. A donations tent where homeless veterans could shop for free clothing, shoes and food was set up on one ballfield next to the tent housing the temporary Pasco Veterans Treatment Court. 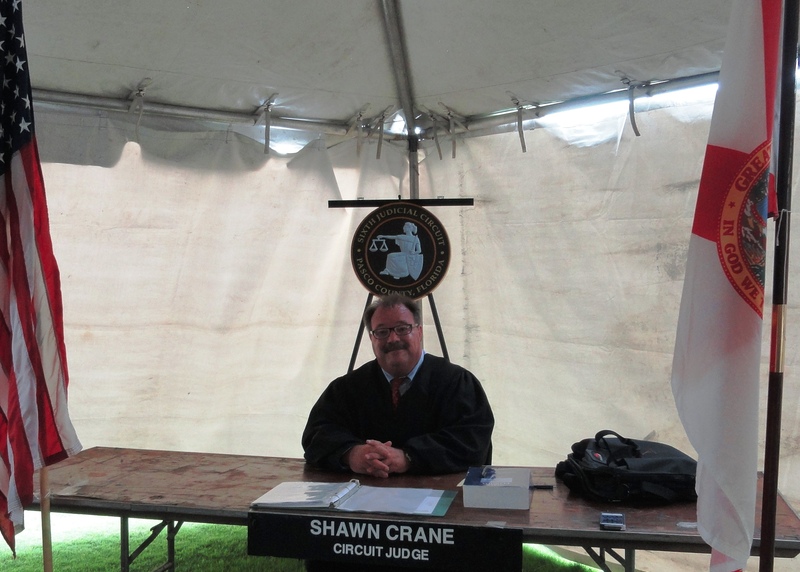 Pasco Circuit Judge Shawn Crane brought the Veterans Treatment Court to the Stand Down to assist veterans with pending cases. That’s where Sixth Circuit Judge Shawn Crane presided over 52 cases handling issues like overdue fines and court fees and suspended drivers’ licenses. Crane helped Vietnam veteran Maurice Buff with his legal problems. He landed in Pasco county jail after a dispute with his long-time girlfriend. When he got out, all his possessions were gone and he was homeless. “I’m a proud person, but I actually went to St. Vincent DePaul Veterans Department and they’re helping me find a home,” Buff said. 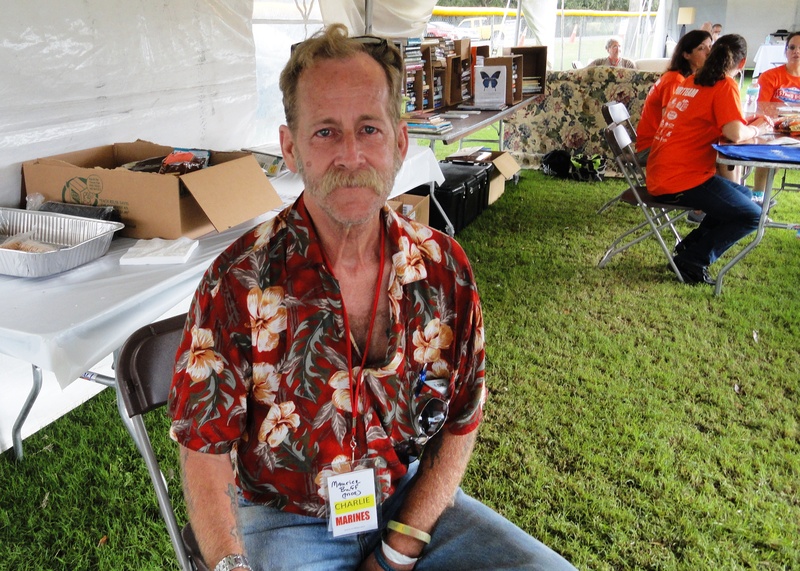 He was one of 181 homeless or at risk veterans at Pasco’s 2015 Stand Down. That’s 60 more veterans than in 2013. 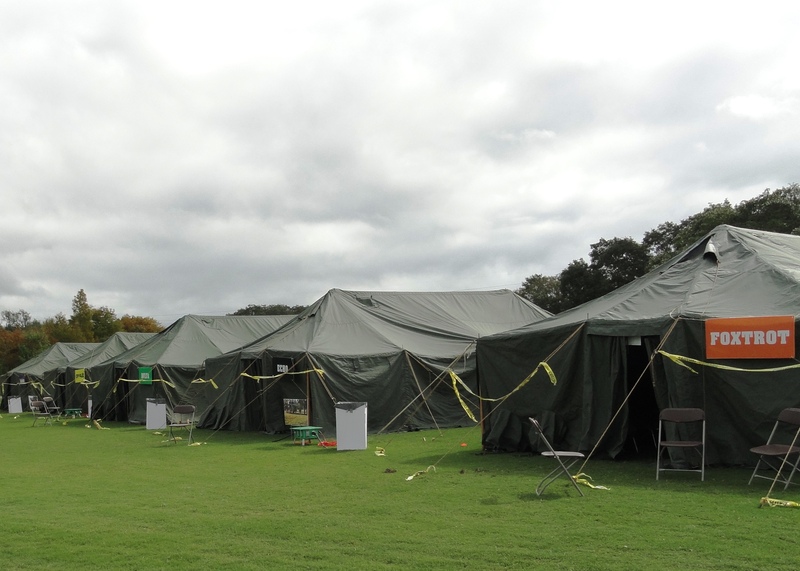 Foxtrot, Echo, Delta, Charlie were the tent names for the Stand Down sleeping quarters.